The dura is firmly adherent to the base of the skull and hence any forms of fracture to the base of the skull can cause tearing of the dura and CSF leakage, and the potential for air to enter the cranial cavity (pneumocephalus). Both of these complications are risk factors for potential of CNS Infection. Axial CT Scan showing longitudental fracture through the base of the skull- the temporal bones. 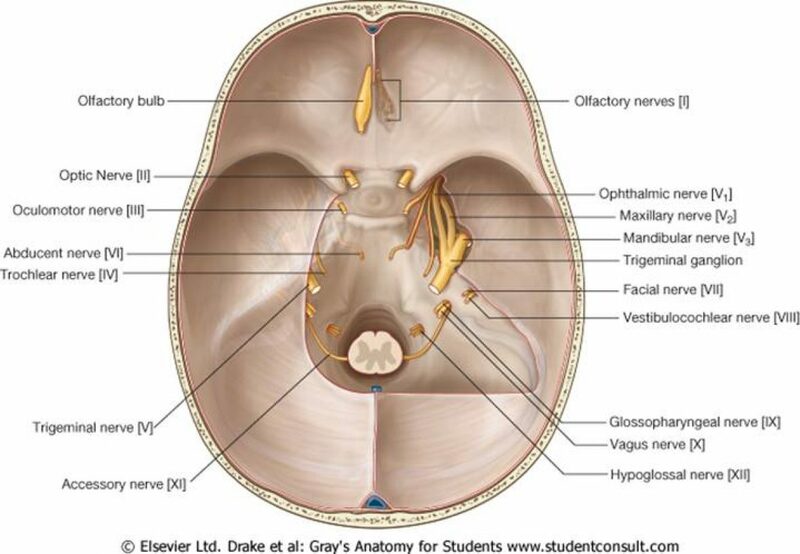 Note the presence of the mastoid air cells. A ‘Pneumovax’ vaccine is given with basal skull fractures. Note the organism in this case is Streptococcus Pneumonia NOT Neisseria Meningitis.